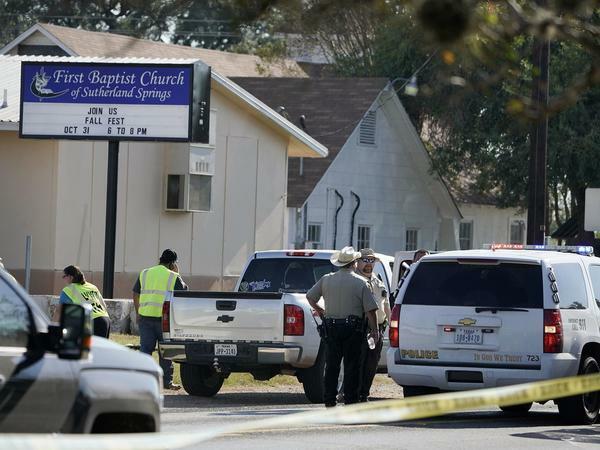 A gunman opened fire inside the First Baptist Church in Sutherland Springs Texas, United States on Sunday, killing at least 27 people and injuring close to 20. CNN reports that the shooter was killed after a brief chase north into neighbouring Guadalupe County, according to Guadalupe County Sheriff’s Office spokesman Robert Murphy. It is unclear if the shooter was killed by police or took his own life, Murphy said. The witness, a cashier at a gas station across the street from the church, said she heard about 20 shots being fired in quick succession while a church service was underway around 11.30am local time. Wilson County Commissioner, Albert Gamez Jr. told CBS News that 27 people had been killed. “The details are kind of sketchy but what I know right now, what they’re telling me, like 27 deceased and over 20, 25 injured,” Gomez Jr. said. US President Donald Trump also tweeted, saying he is “monitoring the situation from Japan” where he has just started a 12-day tour of Asia. A law enforcement source told CNN that a man walked into the church and began shooting about 11.30am local time. Agents from the San Antonio field office of the Bureau of Alcohol, Tobacco, Firearms and Explosives are en route to the scene, the source said. The Connally Memorial Medical Centre in nearby Floresville, Texas, is “accepting and assessing victims” from the Sutherland Springs church shooting, according to hospital spokeswoman Megan Posey. The number of victims is unknown at this time. At least eight patients are being treated at the University Hospital in San Antonio, according to spokeswoman Leni Kirkman, who adds the situation is still active and the hospital may receive more patients. A spokesman for Brooke Army Medical Centre also confirmed to CNN that the facility had received patients from the shooting, but the spokesman didn’t have a specific number.